July 2012 – "da Trooper Bali"
Hi my beloved friends… Hope everythings are OK with you and your family as I am. I am back again to you to continue the story of our journey to Pengotan village, Bangli. Please enjoy the story…..! We enjoy a steam corn and a coffee for refreshment. Thanks for the coffee break Pak Ketut. We enjoy it very much your courtesy and the sweet corn. It is really really amazing day we have. After coffee break in the field of sweet corn, we continue the journey to adventure which is according to Pak Ketut will take another 1 hour before we have a break for lunch. 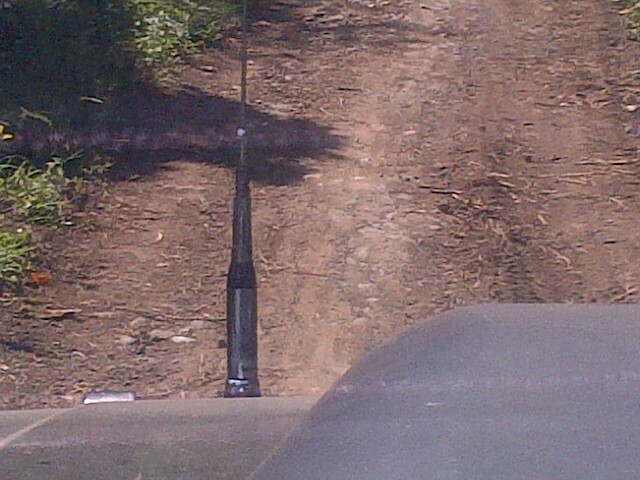 Now the road getting hard and seem most of them are inclining. According to Pak Ketut we will stop over in Munggu Temple where we can watch the scene great beautiful panorama of Batur Lake and the Mount Batur as a back ground. Still medium high plantation surrounding and some time we facing the tangerine field. Tangerine from Kintamani famous called as “Jeruk Kintamani” and it was traded since long time ago. In the season the price very cheaper and the quality of the fruit also quiet good although some time also in quiet sour, but most of them are sweet nice taste and fresh. But unfortunately, during our trip is not in the season, so could not taste the Jeruk Kintamani as most of the field just replanting due to it must to regenerate the trees. According to Pak Ketut the land is belong to the village and the farmer only rent from the village with such cheaper price of rental. Back to our journey, we are the 10 vehicle still follows the path ways around the village and now we see the corn filed which is some of them are now in season to take. Some people seen on work to take the corn and prepare to sell to other place. We are now entering the asphalt small road which is seem will be direct to the main road to Penelokan Kintamani the most famous tourist destination in the world. 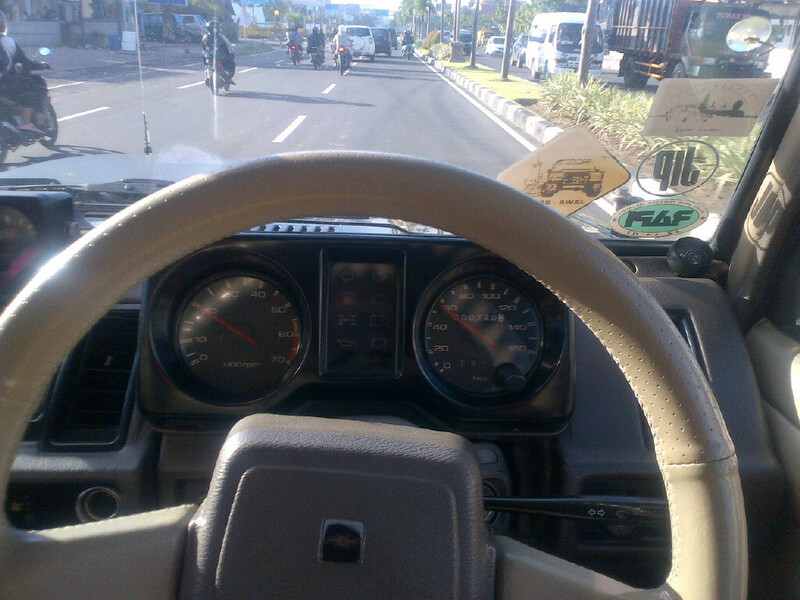 Andhika still driving my Hi Roof Black Trooper and he said Mr. Black is quiet Ok, according to him the only spelling of the steering wheel quiet wide, and I agree with his opinion. According to my trust mechanic who handling the maintenance of my black trooper, the steering wheel normally within 1 degree or less, but my black trooper seem a little bit over, so it make the steering control quiet not so accurate. And seem must changes the part of the connection of the steering coulomb to make it precision in controlling. It will be the next project. We still rolling and the digital clock on the console box shown at 13.17 Bali time and it is the lunch time. I guess we will have a late lunch time as we start to journey quite late from the schedule. It seem the road will end in the couple meters as it seem there is a temple entrance in front and the Taft of Pak Ketut staff now slowly and park with the direction to the sun light from the west. We follows parking around the yard in front of the Munggu Temple. And jump out of the trooper. I realized that we are in the top of the hill. “Wow what a beautiful view” . I said. 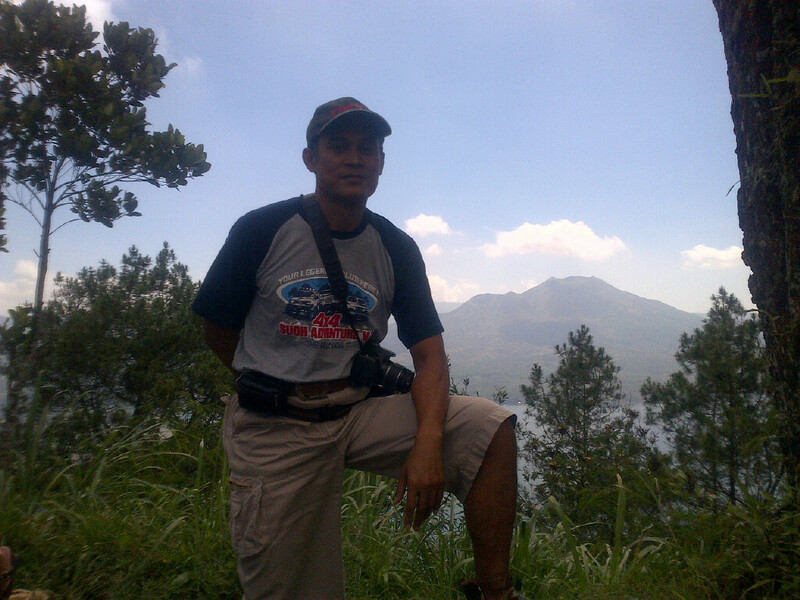 We stand in saw the Mount Batur in front of us with the lake Batur. And the eucalyptus trees surrounding. The sound of eucalyptus trees sounding like a nature music echoed in the wind mile. It is make us felling relax and peace. We are take a rest and watching what is the God created for us with amazing. The whether seem pretty good nice and cold make us felling comfort and really happy All of the friends also very happy with the journey. We take some picture to record and memorize the moment before we leave this great place. 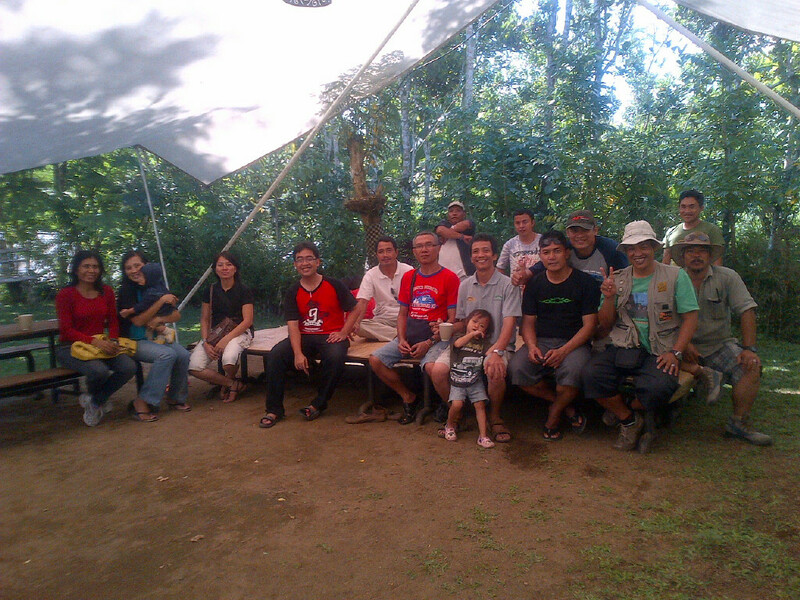 After enjoying the moment and take some picture, we prepare to leave and move to Baliwoso camping site to have a lunch. Do not know what a surprise we will awaiting in there. We back trek to the asphalt path ways and only a few minutes later, we entering the hot mix road which felt so familiar with. 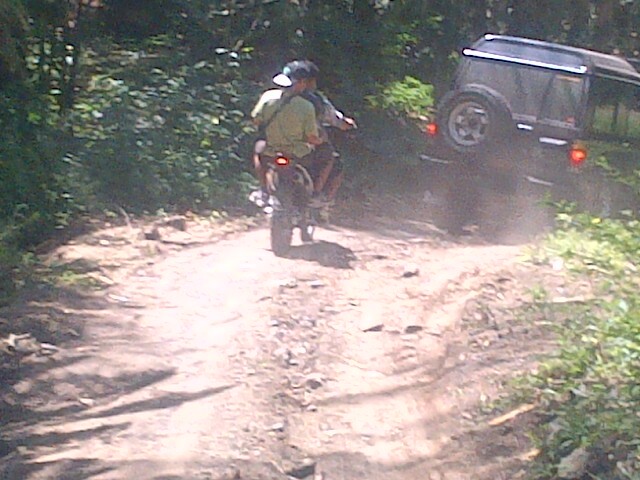 And upon watching around I realized that the road is the way to Penelokan Kintamani. This is the route of the tourist to visit Kintamani or Toyabungkah. Upon driving about 25 minutes, we turn and entering the pathways with gravel and by slowly we are entering the Baliwoso camping site. We entering the green green yard surrounding with the coconut trees and some traditional building with bamboo partition and alang alang roof in right side and in the left side seem there is some high tent also raise. We are arrive in Baliwoso camping site..!!! Some of the staff of Baliwoso welcoming us with courtesy and host us to the left side or the east of the pathways. There is a big tent with the dining desk with some food. I believe most of the friends are hungry as the lunch time been past almost two hours. It’s already been 2.17 hours now. Pak Ketut has prepare the great menus for us, which is of Fish ”Mujair Soup from Lake Batur, Chicken Curry from the Baliwoso farm, green bean sautéing with “spacy sambal” and s shrimps cracker. We start to take the white warm rice with the plate made of the stick of the coconut leaf which call “ingka” in Balinese. Using “ingka” as a plate of rice make efficient as will made our lunch really unique not a s a regular plate we use in the city which is made of ceramic or plate. I am checking and seem all of the participants has take their lunch and start to enjoy their lunch enthusiasm as they are really hungry after the journey. I my self, take a rice and the mujair fish and a peace of prawn crackers and start o had my lunch completely. My wife also had their lunch so quick as they want to have look and sightseeing the places and took some picture to memorized. While upon finish my lunch, just sit on the bale bale and open a chit chat with Pak Ketut Suarno asking about the Baliwoso activities, how to book and what is the prices if we need to have an outbound in there. The dessert are green banana and again the fries banana and sweet potatoes with the Pengotee as a hot drink. Pengotee has an unique taste which you will note found it in other places. The taste like a milk shake with tea,but also taste like mixed with coffee and make our body warm because it is an herbal spicy ingredient. I take a cup of Pengotee and taste it before start to drink it fully. Yes when the hot liquid runs to my throat I feel my body warm and feel like there is a new energy run thru all of my blood and feeling better in the cold whether like in Pengotan village. Suddenly, Pak Rumpika our friends come close to me and said that he must go as must visit his parent in law in Sulahan, about a few far from Pengotan. After say hello and thanks to Pak Ketut Suarno, he left the Baliwoso. The time run so fast. As it is already 16.37 o’clock Bali time and we must back home soon to prepare our next activity for tomorrow. Just a few minute after Pak Rumpika left, we then say good bye to Pak Ketut Suarno and his team with a nice memory of Baliwoso. We left Baliwoso at 16.51 Bali time. It is an amazing holiday we have and of course a pretty good nice memorable moment in there. That’s all of the story for now and hope I can write again for the next journey. 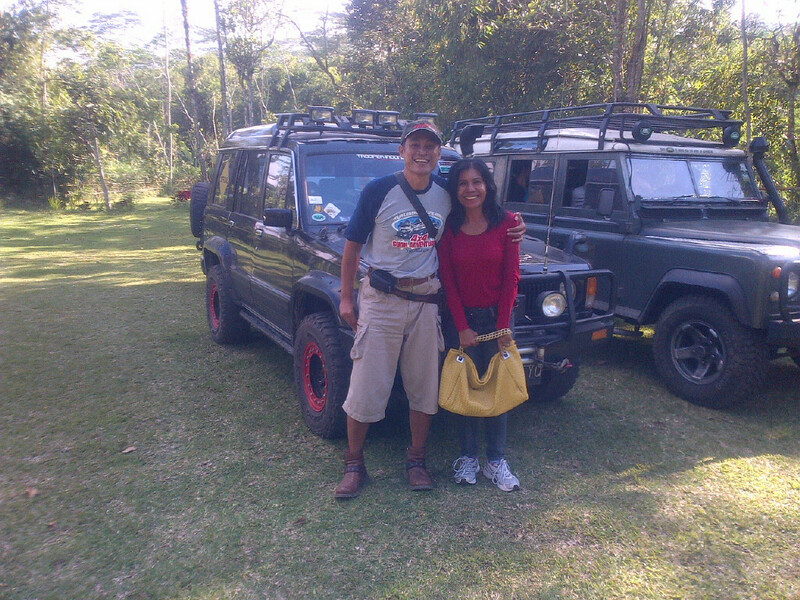 Special thanks to Pak Ketut Suarno of Baliwoso and the team who has host us to the mini touring. Thank you Pak Ketut, hope we can meet again in the next short time.